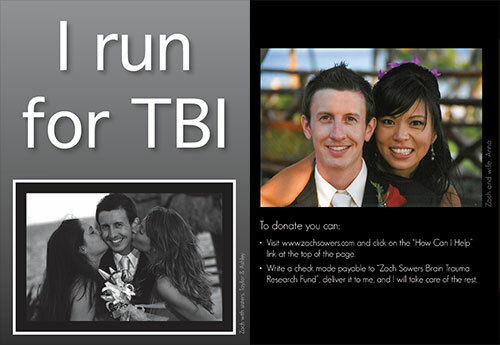 Don't forget, this weekend is the half marathon to raise money for the Zach Sowers Brain Trauma Research Fund, established at Johns Hopkins University Hospital by his widow. This world-renowned hospital in Baltimore, MD is where he received medical care. The University is also where he was employed as a Financial Analyst while also working towards a Masters Degree. The fund provides money for laboratory and clinical research of brain trauma, as well as continuing education for the medical and nursing staff in the Hopkins Neuro Critical Care Unit. Please consider making a donation to this worthy cause by using the link below, and thanks for your support! 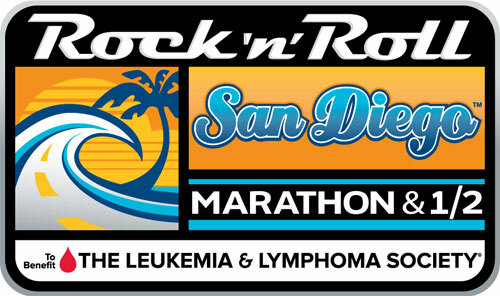 On June 3rd, Zach's family will be running the San Diego Rock 'N' Roll Half Marathon in honor Zach Sowers, who passed away 4 years ago after suffering a Traumatic Brain Injury (TBI). The weekend of the race marks the 5-year anniversary when Zach was robbed and brutally beaten on his front door step by a group of teenagers. He spent the next 10 months in a coma before passing away on March 25, 2008. Zach is deeply missed by all who knew him; through a fund established in his name we hope to make a positive impact in response to the tragic act of violence that took his life. They will be running the half marathon to raise money for the Zach Sowers Brain Trauma Research Fund, established at John's Hopkins University Hospital by his widow, Anna. This world-renowned hospital in Baltimore, MD is where Zach received medical care. The University is also where he was employed as a Financial Analyst while also working towards a Masters Degree. The fund provides money for laboratory and clinical research of brain trauma, as well as continuing education for the medical and nursing staff in the Hopkins Neuro Critical Care Unit. I cannot believe it has been 2.5 years since Zach was attacked, 2 years since his funeral, and almost 1 year since the successful Give Back for Zach at Pazo Restaurant. I still get emails from supporters in Baltimore, which always makes my day. I haven't been back to Baltimore much since school started but there are so many great things I miss: crab cakes -- yum, crab cakes, the Natty Boh guy winking at me, jogging through Patterson Park, the view of the Harbor from my office window in Fells Point, hanging out with Justin and crew in Federal Hill, and watching Ravens games at Baltimore Tap House! I hope to go back some time this semester to visit Baltimore, visit friends, and visit the cutest half-Irish baby that joined us during Snowmaggedon 2010! I am doing well in my second semester of law school. I feel like my entire life is in casebooks and then spending hours trying to understand the cases. I seriously have no idea how law school students ever survived without the internet. I also cannot believe that it takes me days to write an 8-page brief or memo when I could have written a 20-page research paper in that time. What a different world law school is! I'm nothing short of busy as a law school student. I sometimes feel like my life is class, library, gym, repeat. And most of the time, gym doesn't make it into the schedule. But I love it! I love being a student and I love what I'm learning. Thank you all again for your continued support. And lots of luck to all of you during this double blizzard. I wish I were there to enjoy it with you. But alas, I'm in the library, studying, as usual, with no snow on the ground -- just lots of very, very cold winter air. SOLD OUT! We are completely sold out of tickets for Give Back for Zach: Neighbors' Night Out 3!! Donations to the Zach Sowers Brain Trauma Research Fund at Johns Hopkins can still be made online at https://jhweb.dev.jhu.edu/eforms/form/zsowers. Thank you so much for supporting this cause and I will see everyone Sunday, March 1, 4-8 pm at Pazo Restuarant (corner of Aliceanna and Carline St in Fells Point, 1425 Aiceanna St). Remember to bring your checkbooks for the silent auction, your ticket if you bought it from 2910 on the Square and your emailed receipt for all online orders! Dress code: Look nice. See Pazo's dress code in the update below. Parking: Complimentary valet parking is available as well as street parking (it may/may not be metered on Sunday) or garage parking on Caroline Street. Tickets for Give Back for Zach: Neighbors' Night Out 3 will NOT be sold at the door. Tickets must be purchased in advance online. Tickets are almost sold out so get them soon. We will probably stop selling tickets mid-week. Details on ticket sales will be posted regularly. Dress code for the event is to look nice. See everyone on Sunday night! Bring your checkbooks for the silent auction and make sure you save room for cake!! 1. Online. Tickets will be held at door. Please print out emailed receipt to Pazo on March 1. 2. At "2910 on the Square" in the Canton Square with exact cash or check to "Zach Sowers Research Fund." Will take ticket home with you so remember to bring with you to Pazo on March 1. 3 Mailing in a check to "Zach Sowers Research Fund" with # of tix in memo section to address below. Postmarked by Monday, Feb. 23. Tickets will be held at the door. OK, now the fun news! 1. Ace of Cakes is making a cake for Give Back for Zach!! The actual cake is going to be a surprise :) So not only will Duff & crew be at the event, they are delivering a cake!! 2. Otterbein Cookies is donating a bunch of cookies for the fundraiser -- yum!! 3. Jeff Teate from "Nothing up my Sleeve Entertainment" is going to perform magic. He'll be strolling through the audience performing! 4. And of course, come hang out with Ed Norris, Ron Smith, Kweisi Mfume and Curtis Sliwa and the Guardian Angels. There will be a silent auction at the event. So far, the list of auction items that we have is below. Bring your checkbook!!! Feel free to email me at zachsowers@yahoo.com with any questions. 100% of ALL ticket sales and Silent Auction items go back to the Zach Sowers Brain Trauma Research Fund at Hopkins -- THANK YOU Tony Foreman and the entire Pazo crew. Please help Zach's name live on in a meaningful way (Zach died 1 year ago this March 25--4 months and 5 days after our 1 year anniversary, 19 days after my 28 birthday) and help other victims of traumatic brain injury. This site is dedicated to the memory of a loving husband, son, brother & friend; Zach Sowers.